I had an epiphany recently, and it started when I saw this picture. Actually I was looking for some curious inspiration for my next post and this is what I stumbled upon. Thank you Pinterest!! When I came across the picture above, I stopped and pondered. Right now in this very moment I am facing a lot of unknowns that I have felt fear grip me and often cause me to hesitate. So I admit it. 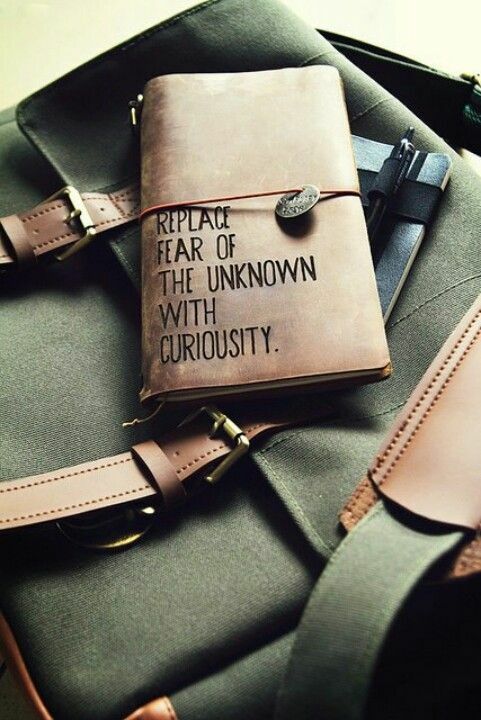 I have a fear of the unknown. However, I have embraced this truth; none us will know how things turn out until we become curious enough to find out. I started to take notice of my fear and was actually seeking a solution that would help me shake it off. Not necessarily on Pinterest but, hey you never know when answers come to you and the form they may take. So back to my point. Being the Curious gal that I am and having the need to satisfy my curiosity, I am going to do just what this beautifully stated quote says. Be just curious enough.I believe that being curious will cause me to seek answers to my questions, to learn, to grow, to find out just what is on that other side, and best of all overcome. Overcome the very thing I was fearing not knowing, So I won’t fear, I’ll just pursue curiosity instead and see what beautiful thing is waiting for me on the other side.